Georgi Georgiev is the Managing Director at Yanva & Disava Capital. Georgi leads Yanva & Disava Capital, an investment fund that helps entrepreneurs create and build successful businesses by providing financial help, mentorship and support. The portfolio includes HR, IT and ride-hailing industry companies. 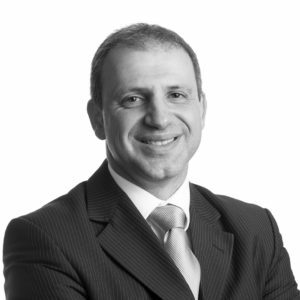 Previously, Georgi was the Managing Director of Adecco Bulgaria, one of the leading HR companies on the market. Georgi has over 16 years of experience managing local and international companies, among which are Xerox, Sciant (VMWare) & CableTel. Georgi was also a board member of the American Chamber of Commerce in Bulgaria for 2 consequent terms, helping stimulate the Bulgarian economy and make it attractive for business investors. Georgi received his high-school education in California, US, and later graduated from the American University in Blagoevgrad, Bulgaria with a degree in Business Administration and Economics. Georgi is recognized with Endeavor Bulgaria’s Dedication to Entrepreneurs award in 2017.